A while ago Simon Cowell appeared on the Radio 4 programme, ‘Desert Island Discs.’ The format of the programme is simple. The guest has to imagine being stranded on a desert island with only basic provisions. These are eight discs, a bible, a favourite book and one luxury item. Cowell must have struggled associating a desert island with a meagre existence. He has enough money to own a couple of islands already and have them support habitations furnished to the highest standards. 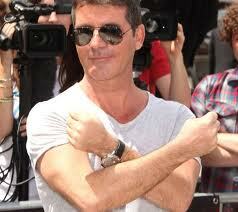 But Cowell ignored the rewards of the materialism without limits that drives him and played along with the show. Cowell picked the one object that he believed would provide comfort against the hardship of privation and loneliness. He chose a mirror. Cowell insisted upon his choice. He can claim fame and personal wealth probably worth billions and for all I know he may have taken a personal hand in refurbishing the occasional abandoned island. This, though, was his finest moment. An instant when a man, who has made a fortune calculating accurately the taste of millions, revealed how he not only understood the potency of trivia in the lives of others but why it defined him as well. We either have purpose or narcissism and Cowell trenchantly chose the latter. The three great British TV phenomena in the last twenty years have been The X Factor, Who Wants To Be A Millionaire and Big Brother. All three have been quite resistible. Big Brother thrives on a need for gossip, Who Wants To Be A Millionaire reduces glory to the acquisition of money and the X Factor has ventilated a sense of exceptional and individual entitlement that damns the rest. Of course, their defenders argue that they are ‘only a bit of fun’ but it is fun that eludes me. Big Brother is about as exciting as a cricket Test Match after rain has stopped play, Who Wants To Be A Millionaire salivates over the unedifying spectacle of greed made hysterical and the X Factor traps its audience inside a ritual designed to repeat failure. There must be talented people who decide the X Factor is an alternative route to success but spotting them is usually more difficult than locating the recently discovered Higgs bosun. 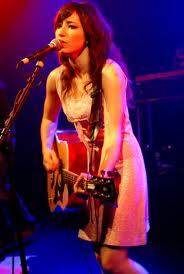 The rock singer and guitarist, K T Tunstall, recently made an appearance at a club or party. But the successes of these three shows have significance beyond the acerbic wit of Menken. All three involve, like the lottery, people admitting honestly and unashamedly that they need an alternative to normal existence. You do not have to be a classical pessimist to conclude that many people today find their own lives and privations unbearable. All shows offer a promised land but one that is remote from others and consequently empty. We are supposed to be social but our modern fantasies are rooted in isolation. 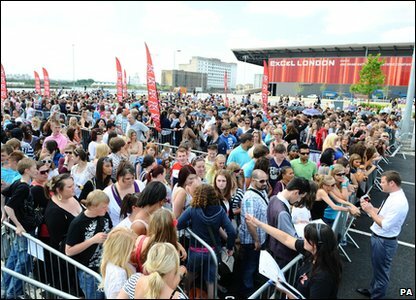 These contestants, especially those in the X Factor, want to be in a place denied to virtually everyone else. Admittedly, these ambitions are fuelled by emotion so they may actually have a purpose that many contestants would be reluctant to articulate – existential consequence or a bulwark against immortality. But even if these reasons do exist there appears to be little regard for the consequences. The mirror has significance for Cowell because he realises better than anyone, and realised before anyone else, what he was offering. A lonely existence denied everyone else but compensated by the narcissistic realisation that the glory is exclusive. Without anybody else to look at the mirror is not just the luxury the radio programme permitted. The mirror is an essential. It begins and ends the process. It inspires our dreams for selfish exclusivity and compensates us if those dreams come true. When people mention the X Factor in the context of Elvis it usually consists of familiar questions such as would he have participated and would he have won. I am not sure on either count. All that competition may have dissuaded him. I do not think he would have won, either. Elvis always had to endure ridicule and hostility that X Factor winners can and do avoid. When Elvis was asked one evening after a concert in Las Vegas if he ever thought he would be that ‘big’ Elvis replied, ‘I only ever wanted to be as big as Big Boy Crudup.’ The gentleman he referred to was an obscure blues singer. In the beginning the worldwide acclaim was beyond his imagination and so it should have been. As his music proved throughout his life Elvis was too human for that. What is disturbing about Cowell and the X Factor contestants is that despite the oohs and aahs the ambition is anti-human. It never imagines a Big Boy Crudup alternative and instead accepts continual audition for the ultimate prize, remote exclusivity. The notion of audition is interesting because the role it now plays in our lives has changed dramatically. The instant society and slavvering over change has required all of us to audition continually. This was not the case for our parents. They left school and college and acquired skills and these usually equipped them for life. Not any more. Repeated appraisal and evaluation is demanded in jobs that are not even well remunerated. 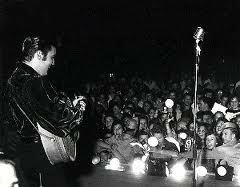 Elvis whose ambitions initially were modest was exposed to this constant process of audition before most. Perhaps it is no surprise he resisted. Most fans are aware of his weaknesses and he was no stranger to the mirror but when I compare him to the ambitions that are insisted upon today I am convinced of his innocence. I believe the story about Crudup and I understand why he was obliged to be a victim. The mirror is like all drugs. It is useful in the beginning but it destroys in the end. Not everyone, of course. This is why the least sensitive like Cowell can be glib about its presence and why X Factor contestants can be so determined. Cowell, though, is astute and not just financially. He knows the price and is willing to pay it, as long as the scars do not disfigure his reflection. Today, The Guardian printed a photograph of the winners, Little Mix. Photographs can deceive so we should not make easy conclusions about vacant expressions caught in the heat of excitement. But those expressions and the dodgy wigs were disturbing. Cowell is tough enough to survive isolation and the consequences of his self-centred ambitions. The X Factor winners, though, should worry us. First, a serious typo. The phrase above ‘bulwark against immortality’ should of course be ‘bulwark against mortality’. Excellent post – as much material success as Elvis had – I don’t think he was that affected by the money, because money wasn’t what he wanted. He wanted to make enough to take care of his parents – Elvis’ dream was to become middle class. Probably a big part of why he is underrated as an artist – he had too strong a work ethic, was too willing to please people and he wasn’t a diva.